There's really little more to say except that if you follow this link, you'll see spoilers for Mass Effect 3's ending. Basically, in a throwaway comment saying what a person would not like to see in the ending...it described the conclusion to Mass Effect 3 exactly. Read down to the second post by a user named "screwoffreg". As part of my modding effort in creating The Shattered War, I feel it is important to stay true to the world created by the Dragon Age series. On a simple level this comes down to the pure lore aspects. Geography, history, the role of the Chantry, why dwarves can't be mages; the basic facts and figures that make up the world of Thedas. However, in order to stay true to the series, it's important to keep some thematic considerations consistent as well. While I'll look at some of the general themes in the future, in this post I'd like to look at some of the conflicts that help inform the Dragon Age setting. The first foray into the world of Thedas came as a result of the blight, and the grave threat of the creatures known as darkspawn. 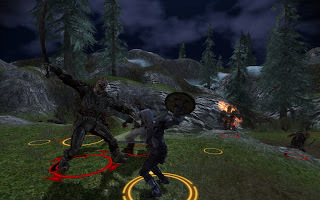 While considered by many to be nothing more than the creations of tales to scare children, the threat of darkspawn proved all too real for the inhabitants of the land of Ferelden. These creatures are brutal, ruthless and vicious monsters that murder (or if you're unfortunate enough, kidnap) people. Typically mindless and lacking direction and intelligence, they rely on the archdemon to control them and provide them with a purpose. The archdemons could only be defeated by people from the order known as the Grey Wardens - who are sworn to protect Thedas from these beasts. No ogres and no swords make Grey Wardens "something something". 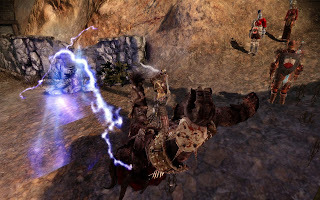 The events of Awakening uncovered the ability for some darkspawn to have independent thought, though only after beeing freed from the "song" which speaks to them. 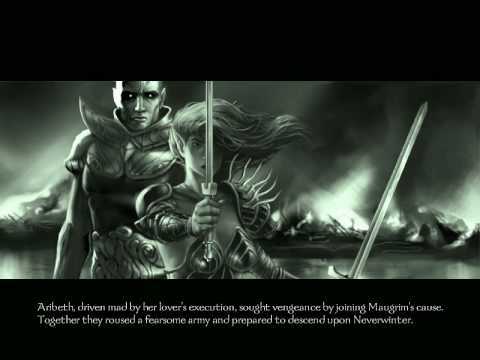 The exact nature of this "song" is still unknown, and while some darkspawn may have even allied themselves with the Grey Wardens to seek an end to the darkspawn problem. Yet given the presence of darkspawn is anecdotally proven to harm the land and potentially kill non-darkspawn, such a peace may be difficult. The nature of the control of the darkspawn and their potential to kill others remain mysterious to be solved for either good or ill. The player's experience in The Shattered War will see them facing darkspawn, and dealing with the dangers that they pose. Now while many people might be sick of the mage templar argument thanks to Dragon Age 2, I had written the ideas for these conflicts to appear in The Shattered War after playing Dragon Age: Origins. The scope for conflict between these two factions is immense, and can take many different forms. The potential for the player to have killed the majority of the mages in Ferelden in DA:O is representative of a long-standing uneasy relationship between the two. Angry Anders. Me no like templar! Anders SMASH! The true problem is that the forces to rock the boat can come from both sides. Some templars are heavy handed in their treatment of mages, yet some mages wish to rebel against the Templars in a violent fashion, potentially leading to as escalation of conflict that can only end badly. Of course, the players will have a role in this conflict within The Shattered War. 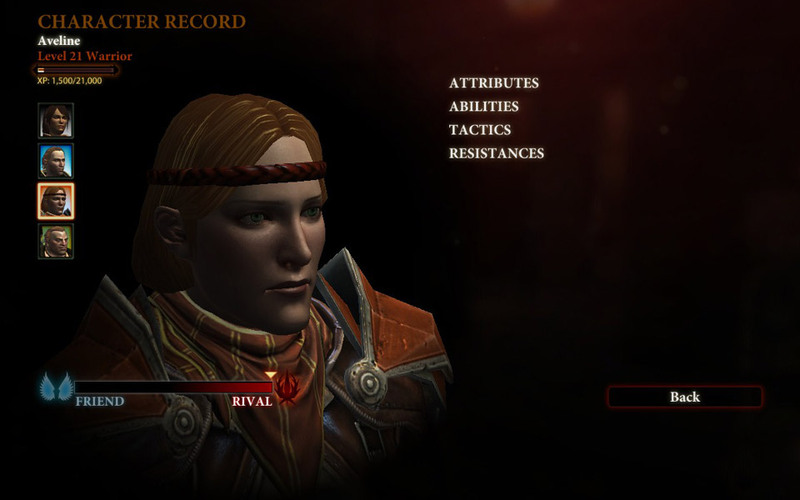 However, in comparison to Dragon Age 2, the players will have more of an impact in how those events play out. While the player may have to deal with the extremes of either end in terms of their allegiances, their choices will cause an effect in how these people view their character. The path to brokering peace requires a great deal of compromise, and a silver tongue alone will not be sufficient for reason to take the place of fighting. 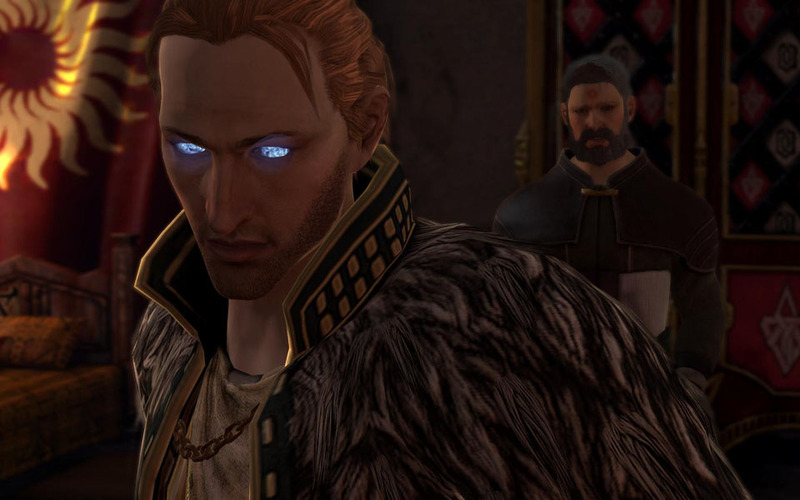 Political tension is a key part of the Dragon Age world of Thedas. The Mage/Templar conflict is one such example, as are tensions with the Qunari but there is internal strife within Ferelden in DA:O, long standing emnity between Ferelden and Orlais, and Orlais itself is driven by political intrigue. To ignore the backdrop of factions vying for control and power would be to remove much of the interest from the world. 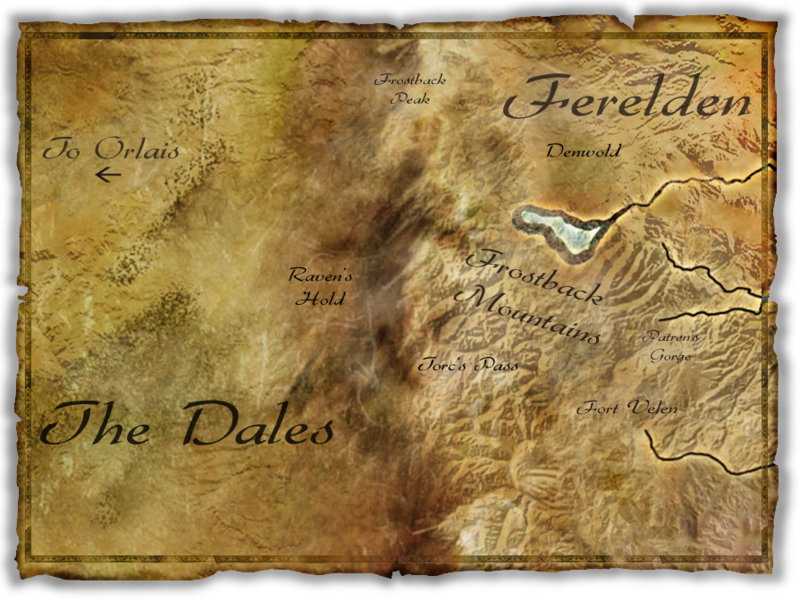 In the Shattered War, the player is in The Frostback Mountains, which are a border between Ferelden and Orlais, and also home to the Avvars. People in the region have been at the forefront of the conflict between the two nations, leading to strong emotions on all sides. 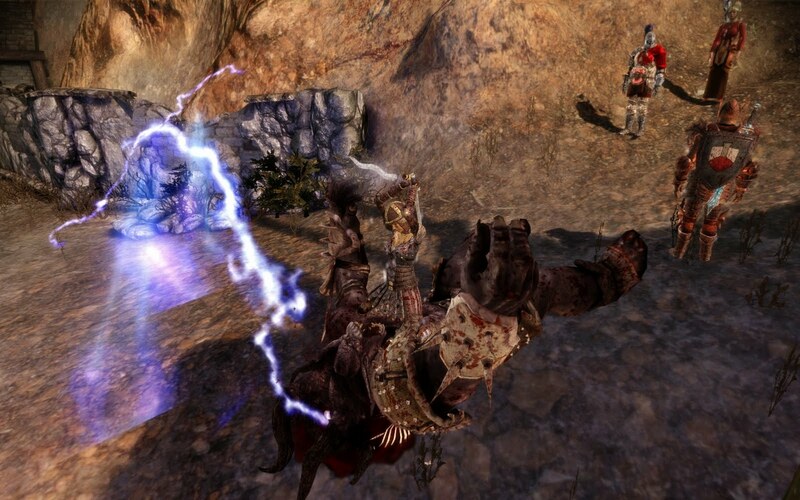 The are not only the issues at hand like the threat of darkspawn to deal with, but also the issue of how to gain the trust and cooperation of the people living in the region. Betrayal and bloodshed runs deep, so trust is a commodity that must be earned. Small scale tension is every bit as important as that occuring on the larger scale, and both will be seen during the events of The Shattered War. There are no right or wrong choices, and achieving an ideal outcome will be extremely difficult, if not outright impossible. Some wars require terrible sacrifices in order to prevail. These conflicts are an essential part of what has shaped Dragon Age thus far, so in order to stay true to Dragon Age lore, it is vital that these conflicts appear within The Shattered War. Rest assured that all three shall appear in varying degrees, and all will play a part in not only the journey of the player through The Shattered War, but also its conclusion. Okay, spoiler warning. If you haven't finished Mass Effect 3, you will probably want to stop reading. I'm going to discuss the ending, the controversy and give my own opinions on a whole bunch of stuff. Every second person on the Internet is doing it, so I may as well join in the chorus. This is a long way, so strap yourselves in. I'll start by saying that the discussion and debate over the ending has reached a surprising level of hype and debate. Not since the Star Wars prequels have we seen such an outpouring of fan rage and Internet anger. $80,000 has been raised for Child's Play in the "Retake Mass Effect 3" movement. Gaming sites have been filled with backlash over the ending, and then others telling those people that they are "entitled whingers" and then the usual barrage of EA hatred. This thrust Mass Effect 3 and BioWare/EA into the limelight, and not necessarily in a good light. Unfortunately for them, they're in a bit of a damned-if-they-do, damned-if-they-don't situation. If BioWare changes the endings, then according to many, they will have surrendered their artistic integrity by "giving in", but if they don't, then they risk alienating tens of thousands of fans who found the ending to be disappointing. Just to clarify my own position, I thought the ending was awful. 1/10 awful. That said, right up until the ending, I was loving the game and would have been verging on a 10/10 score (notwithstanding my hatred for common interpretations and definitions of review scores). So final spoiler warning now. If you keep reading, don't say I didn't warn you. No, this is your last warning. One of the more ridiculous elements of this controversy is the lengths that both sides are going to in order to make their point. Someone filing a lawsuit for false advertising is ridiculous. On the flip side, journalists who go "I haven't played it but, BioWare shouldn't change a thing because of artistic integrity" is equally fallacious. Sites dismissing all complainers as "entitled whingers" is just as unhelpful as those issuing threats against BioWare staff. Debate needs to be reasonable and informed, on both sides. I'll pull a specific example here, an article from GamesRadar. It starts off with the disclaimer: "I don't know what the ending of Mass Effect 3 entails, and I don't care.". This is right before launching into two pages of discussion as to why the ending shouldn't be changed. This writer forgot rule number one: write about what you know. Later it pulls out the line: "The Matrix sequels were crap, but their crapness wasn’t the biggest tragedy. The biggest tragedy was that a concept so huge and open to almost infinite interpretations was tied to a single linear trilogy following a single narrative path." Of course, since this argument is made without any knowledge of the ending, the writer doesn't realise that this is precisely the issue with Mass Effect 3's ending. Way to shoot yourself in the foot. Anyone who is going to comment on the ending of the game, please, play and finish the damn game first before you start speaking. Artistic integrity argument or not, you have to know what you are talking about. I respect the concept of artistic integrity, but at the same time, an ending must maintain the integrity of the artistry. Mass Effect 3's ending doesn't do that, because it's filled with so many gaping holes in its presentation that it falls to pieces under even the most cursory examination. 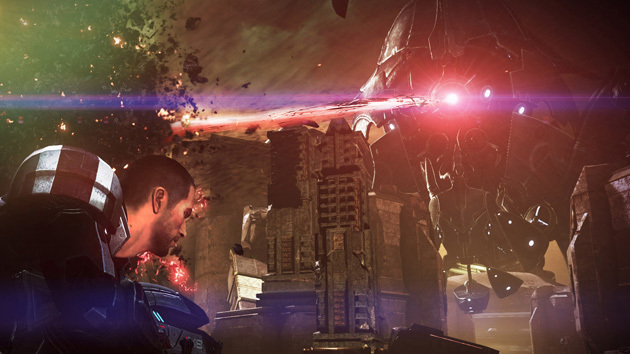 The player gets blasted by a giant Reaper laser, which apparently vaporises everyone, except Shepard and Anderson. Yet the rest of the allies believe that everyone is dead and no one survived, so they retreat. Yet Shepard gets up and makes his/her way to a teleportation beam that takes him/her to the centre of the Citadel, where they have a showdown with The Illusive Man and then some Machine God or Reaper deity where they make an ultimate decision to destroy all synthetic life, attempt to control the Reapers, or achieve "synthesis" where man and machine are fused in a final evolution. Now, if we assume that Indoctrination Theory is incorrect, then we end up with some bizarre and incomprehensible inconsistencies within the final ten minutes. Firstly, it's reported that everyone dies in the laser blast on Earth, which is why they break off their attack. Yet when Giant-Deus-Ex-Machina-Plot-Device (aka the Crucible) docks with the Citadel and locks into place, the military command communicates directly with Shepard. If they knew Shepard wasn't dead, why did they report that everyone had died? 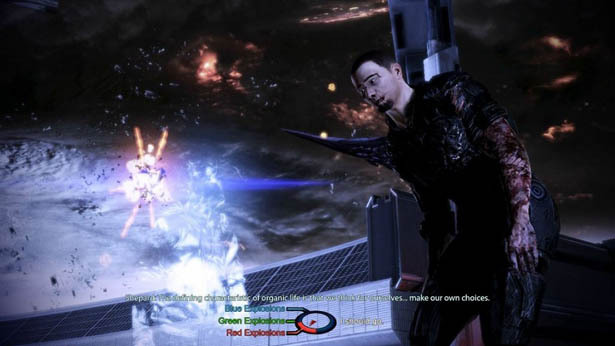 We've also got the issue of the Normandy crash landing on some mysterious planet at the end of the game's final cutscene with several members of Shepard's crew - all of whom except for Joker were present on Earth before the final push, and some of whom can potentially be with Shepard in the final attack where they also supposedly got hit (and vaporised) by the Reaper laser. This is even ignoring the issue of the Mass Relays exploding, which from The Arrival DLC, we're told will obliterate the entire system with a supernova-like explosion. BioWare staff have supposedly issued statements saying "That relay was special" or "this explosion is special", but there's no indication as such given by the game (and I've not seen these reassurances). If anything, we're led to believe those explosions will destroy everything - because Joker is desperately trying to escape from the coloured explosion shockwave, but gets hit by it and it forced to crashland on a jungle planet. That hardly indicates that the explosion is harmless, but instead explicitly demonstrates to the player that it is. I could go into many more details, but how about I just leave a link to this article and be done with it? I'd hate to think that BioWare's writers were so short-sighted as to not realise how awful and inconsistent the ending is. If they didn't, then I'm afraid I have little faith left in their writing abilities, nor the ability of any of the playtesters or design team to not see these problems. I was concerned enough by the inability to import faces from previous Mass Effect games into Mass Effect 3. How did the designers possibly think it was acceptable to have import a Shepard and have that face appear entirely different in the third game? 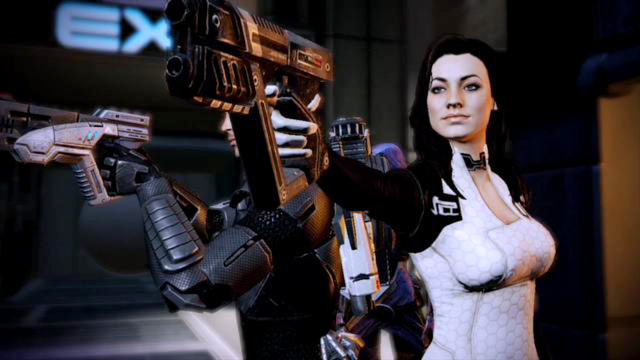 Players who have played through the first two games are going to be attached to their Shepard - and the developers have the greatest responsibility to allow continuity for those players, as the whole point of the series was to chart the journey of Commander Shepard. Needless to say, if Indoctrination Theory isn't correct, then BioWare have their work cut out for them to explain all these inconsistencies. If it is correct, then they've pulled one hell of a stunt... and all I can say is that the DLC that provides the real ending had better be provided to players for free. Else they can kiss lots and lots of fans goodbye right now. In order to understand why is Mass Effect 3's ending such a failure, it is important not simply to analyze at a superficial level. Let's analyze it as part of the series. More importantly, and this is where so many writers and reviewers and others are missing the point, let's analyze it as a game. To analyze Mass Effect 3's ending purely as a narrative structure is to undermine the entire medium through which it is conveyed. We cannot analyze story-telling in video games in the same way that we do books or film media, because the gameplay should inform the narrative and vice versa. 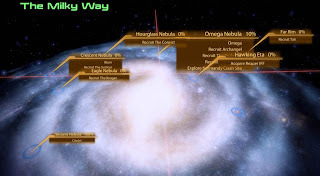 Mass Effect is an adventure in the classic sense: it's a journey of discovery and exploration, where you come to know your true enemy as a result of the twists and turns of the plot. You get to know the universe, the characters, who gets along with who, and who doesn't. What are the burning historical issues that inform the backdrop of the setting and individual conflicts. As part of this, in a gaming context you're given two decisions that have a real impact on the game and the series: Does Wrex die and does Ashley or Kaidan die? Now, while these may feel like trivial points, and some people hate Kaidan/Ashley, it's a significant because as part of the same game, it can have a direct impact on your ability to play the game. You're romancing Kaidan, but you've traveled with Ashley all the time for the firepower? 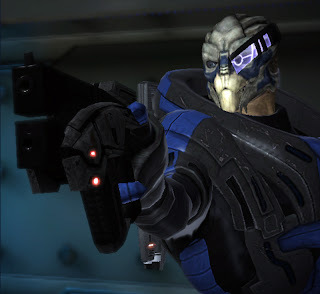 The player is forced to pick between Kaidan or Ashley, and they potentially lose Wrex as well. There are potential real gameplay ramifications from player choice. Mass Effect 2 brought a few changes. One, for the sake of gameplay, the infinite ammo guns of the first game were taken away and replaced by a standard ammo system. Many fans were up in arms about this "rewrite" and "lore breaking rubbish", but it was included for the sake of gameplay. Personally, I had no issue with this; the change helped improve the gameplay significantly over the firtst game which started off with you having to meticulously watch your heat meter, but you could ignore it entirely by the end of the game and hold down the trigger indefinitely. Here the established writing and lore was "re-written"/"reworked" so as to improve the gameplay. From a pure writing perspective, it's a cheap and poor device, but the writing changed to suit the gameplay. You won't see this in other media, which is why games can't be treated the same as other media. Plot-wise, the game also forced the player to work with Cerberus (whom most probably didn't like), and had them gather a number of allies to their cause. 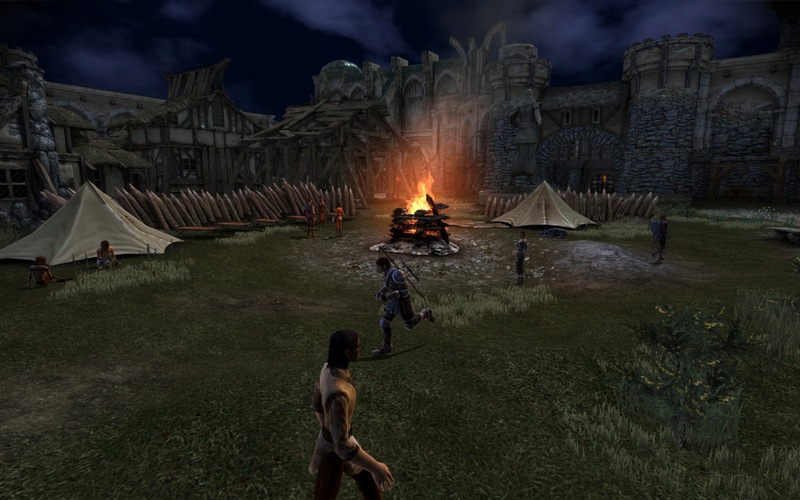 The player did missions to ensure their loyalty (or at least attempted to) and as a result of player choices, there was a definite possibility that characters could die during the end game. If the player did badly enough, even their character could die. Again, this kind of story-telling is exclusive to video games. The player is responsible for what happens to individual characters, and thanks to their emotional involvement, that resulted in some players being distraught when their favourite squad member(s) died. (Of course, some deliberately attempted to get certain individuals killed) Again, this can potentially have an impact on the player's ability to succeed in the end-game - a favoured squad member with complementary abilities to the player's can die (or be needed elsewhere), forcing them to adopt new strategies and tactics in order to succeed in gameplay. Maybe you lost Miranda's loyalty in an argument. She might be dead. 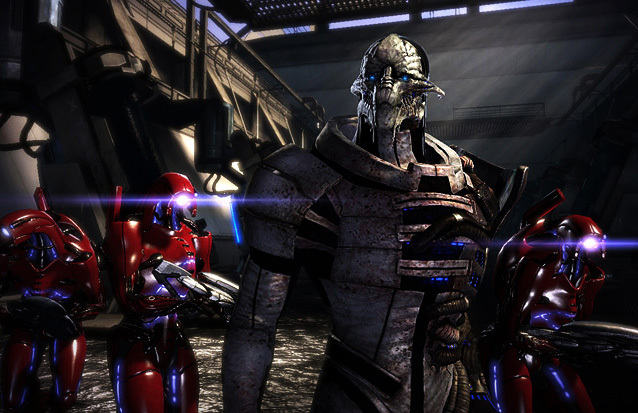 Mass Effect 3 sees the conclusion of the hero's journey in the final trial, the attack against the ultimate enemy. By gathering all allies together (though potentially losing some along the way), the player is getting together all the military might possible in order to assist for the final battle. Throughout the game, the player has a bar that builds showing them the potential chance of success of this final onslaught. Yet ultimately this doesn't appear to have any real effect, and there is virtually no appreciable game difference from not having built up anything, nor from your decisions during the game, or the past three games. 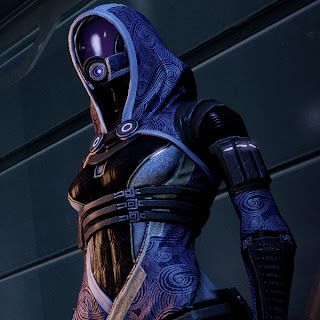 At best, it's possible to lose/gain one single party member as a result of choices made in Mass Effect 2 and Mass Effect 3, but this party member only appears in the final third of the game. The only other difference is the ending to destroy synthetic life will indiscriminately target everyone on Earth should the player have insufficient war assets. This is where Mass Effect 3 fails so terribly as a game in terms of its narrative. The previous two games have set the stage of a game where choices have real and concrete effects on the way that the game plays out. The player will suffer as a result of bad decisions or be forced to sacrifice others and potentially make their own gameplay more difficult. The narrative affected the gameplay. However, Mass Effect 3's ending (not to mention game as a whole), summarily dispenses with this concept and expectation. The travesty is that it is a mess not only in terms of the details of its execution in a narrative sense, but in it entirely forgets the responsibilities of the trilogy as a game. Give me back my game. Now. Now, the odd thing personally, is that while I've seen many people argue that BioWare shouldn't change the ending because of reasons of artistic integrity, and plenty of articles on why it's a terrible ending, I've seen very little from arguments of those who liked the ending as to why it was a good ending. I have a friend who is a writer and budding game designer who gave his thoughts on the ending. I have to give him credit, because he's done better than "professional critics/reviewers" who have failed to develop a single coherent argument as to why the ending is good except for "the writers made it that way." I'm sorry, but from people who get paid to write articles, that's simply not damn good enough. If you're going to declare the ending is great and deride everyone picking (serious and significant) holes in the delivery and details, then you'd damn well better be able to back it up with something better than "that's what we got given." The funny thing is that thematically, I can see the argument that the ending is well written. The argument that the entire series has always been about order versus chaos does strike a little bit of a chord. However, the problem is that it is a retcon (retroactive continuity) of a theme. i.e. The writers decided to change the ending of the game, from the originally intended one, and forced people to reinterpret existing material in a new way. This change is why the first and second game don't entirely gel in a thematically consistent fashion with the third. 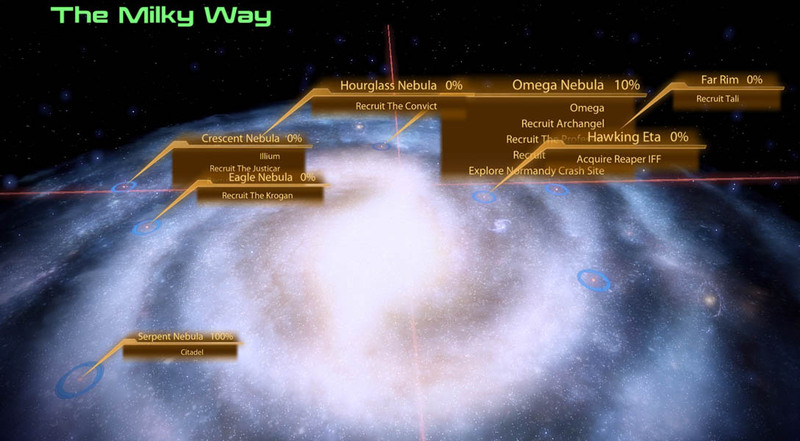 Mac Walters took over as the lead writer during the development of Mass Effect 2, and in hindsight you can see that divergence and some of the dropped plot ideas from the first two games... just as you can retroactively see the theme of order versus chaos come through. The problem is that it takes until you talk to the dying Reaper on Rannoch before the concept of order versus chaos is finally presented to the player in any sort of coherent manner. 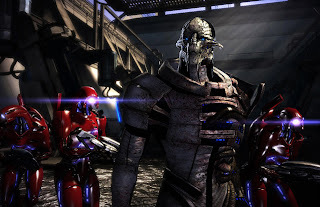 For two entire games, the Reapers are insistent that they "are beyond our understanding", but when we reach the conclusion they say "actually, you're all going to be killed off by synthetics, so we kill all advanced races so that doesn't happen." Hate to point this out, but that's an idea that has been floating around in human culture, and specifically sci-fi, for decades. Given you've studied us (and all other races), you'd know that. Heck, when the dying reaper said that on Rannoch, my thought was "Really? You're just recycling the idea from Battlestar Galactica? That's your idea of 'beyond understanding?' Please tell me you're just trying to get inside my head." It's just such a ham-fisted and simple explanation that it doesn't do justice to the catch cry of the Reapers thus far, nor their vast power and arrogance. 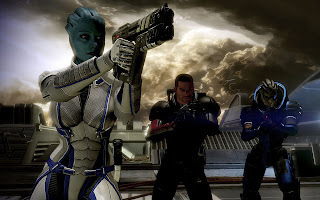 The problem is that Mass Effect has explored some interesting themes, put players in some difficult moral quandaries, and likely put them through the emotional wringer with character deaths. There are so many good points to the series that the inconsistencies and retroactive application of thematic ideas throughout decisions and events in the series doesn't do justice to universe that has been created for players, nor the experiences they have had within it. So we explored for what purpose exactly? This isn't simply an issue of the ending failing to live up to player expectations, it's an issue of the ending failing to live up to the rest of the narrative experience provided by the Mass Effect games. It is a failure to live up to the gameplay experience delivered by the rest of series. True enough, a story should be about the journey, and not the destination, but the issue is that every single destination is exactly the same. For the ending we have, it turns out that Harbinger and the Reapers were right. You can struggle all you want, but nothing you do will make any difference in the end. Kind of makes you wonder why you were fighting throughout all three games. One of the things I wanted to do in The Shattered War was to give both the player and NPCs character arcs. The player must experience a story that goes through several twists and turns, but a good story should result in people being changed by that experience. Today I'm going to discuss techniques that I've employed to give players an experience that will help provide an impetus for change in both NPCs and potentially the player themselves. They're common techniques, but I think it's important to analyse them and how they benefit a game. This is a concept that has been around for a while, so it's an obvious one to include. 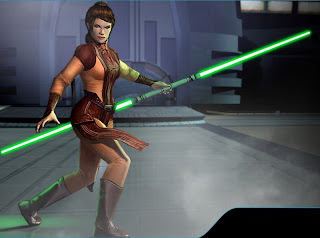 The first time I remember it was in Knights of the Old Republic. Where your influence could change the way your party members reacted to the world at large by changing their opinion. This is a valuable technique because it really makes the player feel like a powerful influence and leader within the game. As I mentioned in my previous post, I've decided not to include companion specific abilities. This is a gameplay affecting/extending consequence of allowing the player to change companions, but in The Shattered War the required amount of work means that I won't be implementing it. However, there are simpler methods to allowing the player to affect an NPC. By having an NPC deal with a difficult issue or choice, the player can push their thinking in one direction or another, causing them to change their viewpoint on a moral "grey area", or even push them over the edge should they be close to breaking point. I've provided the ability for the player to cause NPCs to pursue their cause with deadly intent should the player push them in that direction. 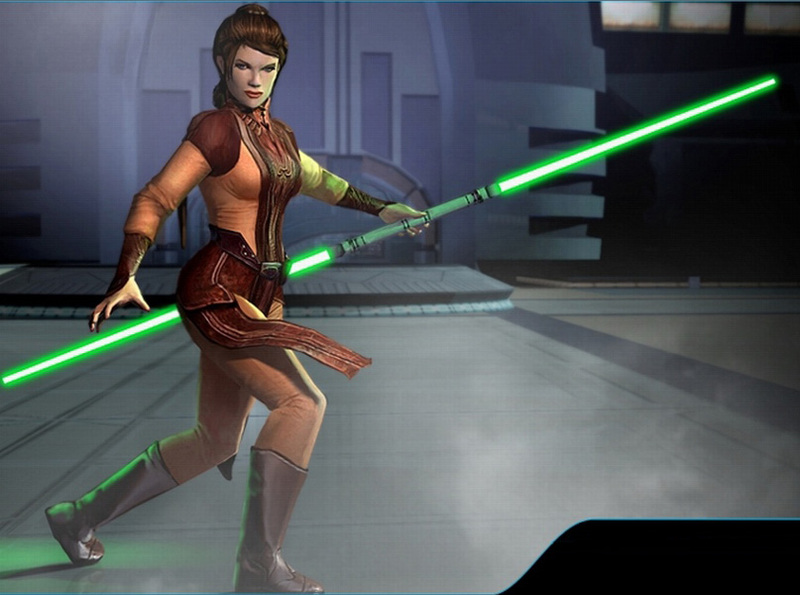 Do you forgive Bastila, or does she deserve retribution for her crimes? The events of a story should cause characters to change. Whether they lose their humanity, or perhaps find it, without character change, a story can feel stagnant and stale. Events have an impact on people, and if that doesn't occur, then are those events really having much of an emotional or physical impact on its participants? NPCs are easy to to change throughout a story, as they are under the writer's control. They can react to events that must happen as part of the game, which can cause them to undergo minor or major change. This could even form a significant part of the story. It is important here to make sure that NPC change does not overshadow the player. No one wants a repeat of Neverwinter Nights, where the story was more about Aribeth than it was the player. The player is the most important person in the story, and if they're not, then they can (somewhat rightfully) feel a little annoyed. If they can't prevent the obvious "bad thing" from happening no matter what they do, then it can be a source of frustration and annoyance. Essentially, this concept is allowing the player to "grow" during the telling of the adventure. Many players come in with a set personality, or the idea of a personality, but a good adventure will either force them to test that personality or cause them to define areas that they had not considered before. The simplest tool here is moral dilemma and "grey" decisions. Does the player save one "good" person or save five "evil" people? Do they side with an ineffectual but personable leader, or join forces with the merciless brute who could save others? This is often one of the most difficult things to do, largely because of the tendency of many games to offer "the happy ending" scenario where everyone wins. The true test of character is when the player is forced to decide between the lesser of two evils or the greater of two goods. Testing the player with decisions like this is one of the best ways to make them decide whether their character is the person they thought, or whether sometimes they're forced to make hard decisions. 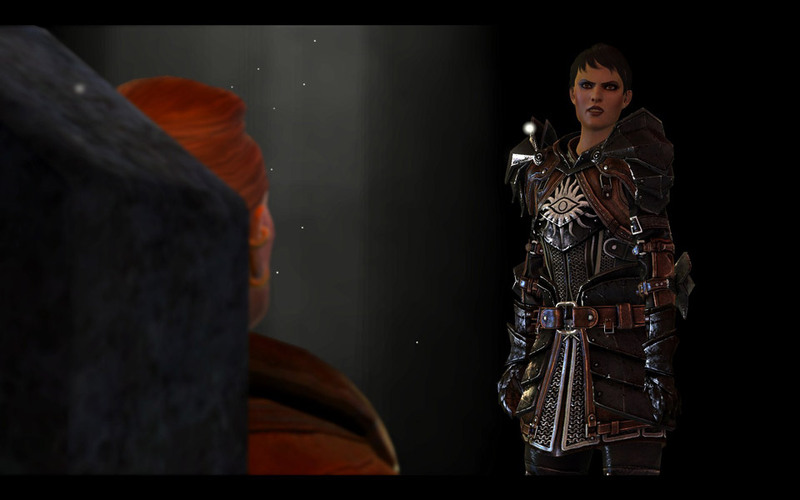 The best debate from DA2 - who is more evil: mages or templars? 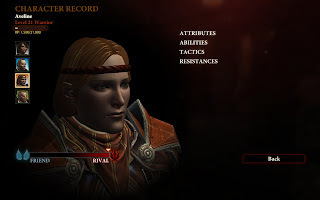 Allowing character arcs is a valuable means to deepen the gaming experience for a player, as it adds a personal depth to the story in addition to simply the events that occur. I believe that I've created a nice balance of these aspects in The Shattered War, allowing the player to not only affect the story, but the reactions and development of characters within that story. I'm taking a bit of a different approach for today's blog about The Shattered War. Recently I've been covering things that I've included and the decisions I've made. Thanks to a suggestion from a friend, today's post is going to cover things that didn't make the cut. That's right, I'm going to be talking about things I decided not to include and why. The plan here was to make some custom abilities for each companion that would set them apart from the regular warriors, rogues and mages. Not only that, but these abilities would vary in their effectiveness and strength based upon the player's interaction with them. Take Fialeth, the elven rogue, who prefers to fight with a dual-wield style. 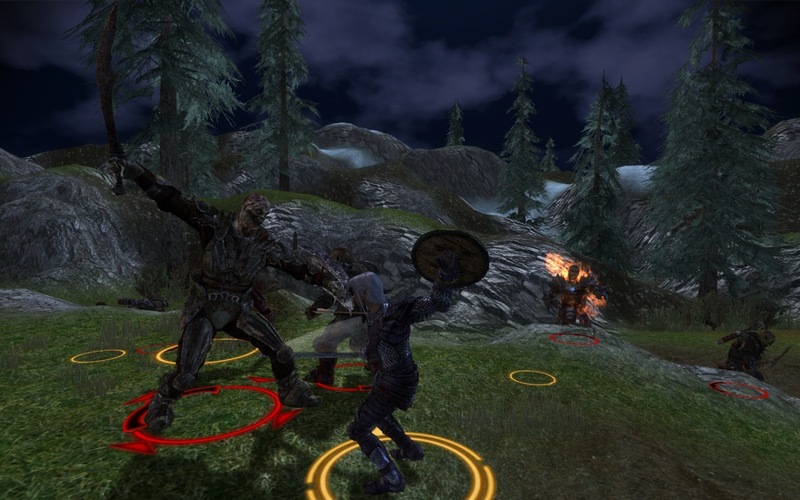 If the player encouraged her to pursue an aggressive or angry method to resolve her issue, then the ability would cause her to inflict more damage. Alternatively, a player pursuing a path of reconciliation would provide Fialeth with the ability to avoid damage. I was never a huge fan of the gift system in Dragon Age: Origins. It felt a little clunky most of the time, and felt like a means to smooth over relations with characters whom you fundamentally disagreed with. On the whole I felt the rivalry system introduced in Dragon Age 2 was a lot better, another design choice led by Alpha Protocol. In sort of a combination of the above two issues, I am looking to implement small bonuses to attributes (just like DA:O did) but to give different bonuses based on whether the companions like or dislike you. Of course, the bonuses provided will be to different attributes based on the companion and how they feel about you. Basically, I don't have the necessary modelling skills, and I don't know the process for including new models. In addition, it would be vital the new models follow the same sort of artistic style present in the original game, as I wouldn't want something that feels out of place with existing content. There will be some areas that will be reused from Origins within the game. In virtually all cases I'll make some modifications so that they're not immediately recognisable from the original game, and there will only be a few areas that I'll appropriate as part of the adventure. I'm also limiting this exclusively to interior areas; my ability to create interiors is not as high working with exterior/landscape levels, so I've focused more on my strengths. This helps reduce my workload and enable me to get the mod released earlier. 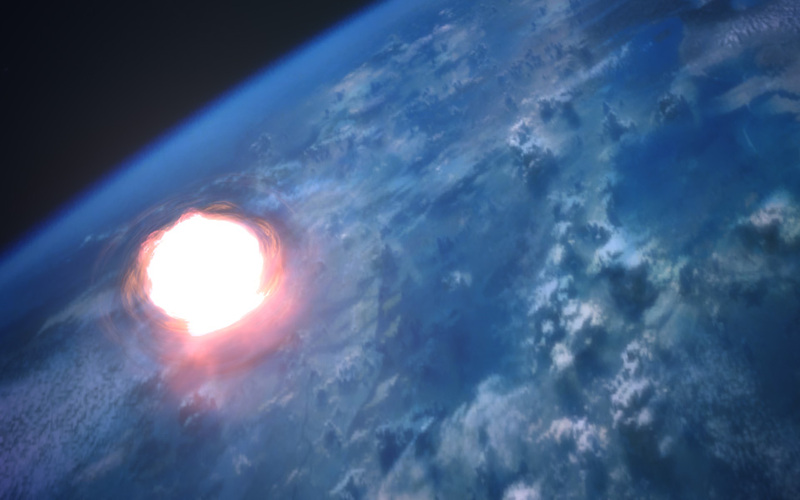 One initial plan for The Shattered War was to have a large number of "ambient consequences". This involved having a significant cast of "ambient" characters in the adventure - NPCs that either only speak in barkstrings (ie one-line conversations that do not go into letterbox format) upon the player interacting with them, or simply holding background banter as the player passes. The concept was that the player would make many minor decisions throughout the adventure or perform with varying degrees of success in battle, and these would be reflected in these "background" conversations. For example, one sidequest may see the player placing poison to kill off dangerous and aggressive wildlife. This would subsequently result in the player overhearing a conversation between people where a Mabari had died. Alternatively, if the player didn't carry out, the people would comment on how the region was unsafe. Another example is where the player fights alongside allies - their survival (or not) would be reflected in conversation later on. Unfortunately the overhead of managing and recording the necessary amount dialogue means that this idea would take a great deal of time. A lot of the necessary background work is present to enable this to happen, but I simply haven't written the associated dialogue. So there you have it, some things that didn't make the cut within The Shattered War. I'm hopeful that the things that have remained as part of the adventure will keep players engaged and entertained.